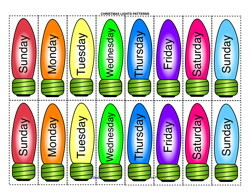 Practice Sorting your days, months, and seasons with this Christmas Lights themed set of light bulbs and wires. 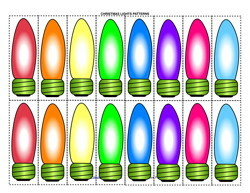 Sort your days and months on the lights onto the light bulb wire strands to make a full pattern! 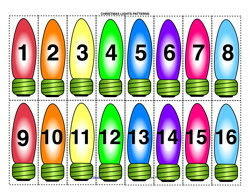 Practice Sorting your numbers with this Christmas Lights themed set of light bulbs and wires. 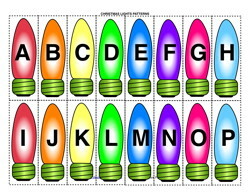 Sort your numbers on the lights onto the light bulb wire strands to make a full pattern! 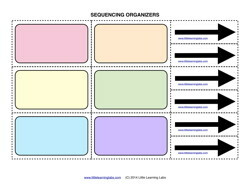 This activity lab can be used to teach counting, numbers, multiples, and skip counting! 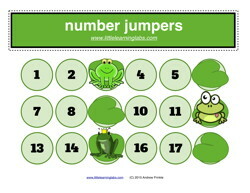 Up to 6 players can work on counting from 0-100. Count by 2's, 3's, 4's, 5's, or other common multiples. 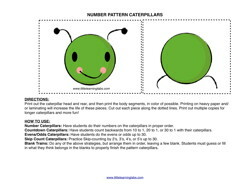 This makes a great numbers/math center! Practice making patterns with shapes, letters, colors, numbers, or anything you can think of! Included are 12 different color caterpillar body segments, which you can write on, and 6 B&W cars, in case you can't print in color. Practice making patterns with calendar details like days, months, and seasons. Practice making patterns with numbers. Numbers from 1-30 are included. Practice making patterns with shapes, letters, colors, numbers, or anything you can think of! 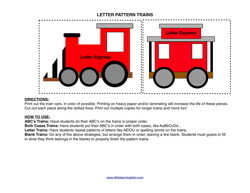 Included are 12 different color train cars, which you can write on, and 6 B&W cars, in case you can't print in color. 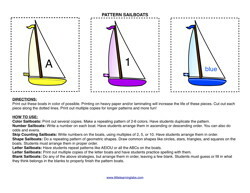 Practice making patterns with calendar details like days, months, and seasons. 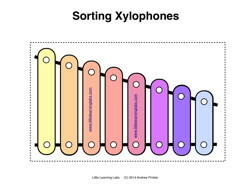 They are included in color and B&W, in case you can't print in color. Practice making patterns with numbers. 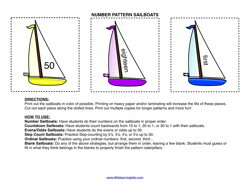 Numbers from 1-30 are included, as well as multiples of 5, 10, and 100. 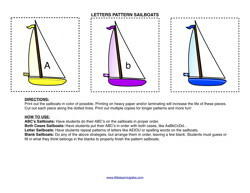 They are both in color and B&W, in case you can't print in color.